On Friday Arcade Nights, the list of featured ARCADE MAPS is expanded with new additions, created by community members themselves or the Arcade development team. At the same time, players are set new ARCADE CHALLENGES which they can complete to earn silver bars to spend in-game and XP to spend in the UBISOFT CLUB. 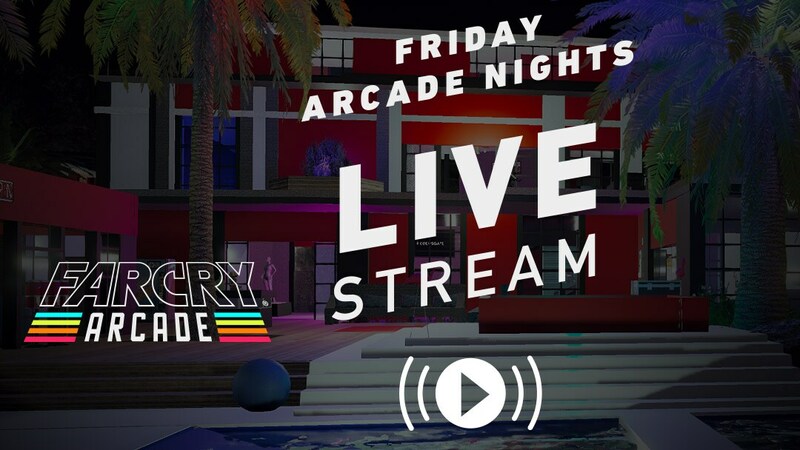 This new content coincides with a UBISOFT FAR CRY ARCADE COMMUNITY STREAM ON TWITCH, each Friday at 4pm UTC. Any questions, feel free to GET IN TOUCH!